Each year we service over 2000 students. At $20 per backpack, this equates to a total of over $40,000 in supplies or more than 5 tons! Most donations we receive are supplies. These supplies have a cash value of over $33,000! We have very specific needs for each grade level as determined by PISD. If you wish to donate supplies, please purchase supplies listed on the "Supplies List" page. Donations of supplies can be dropped off at Resurrection Lutheran Church, 1919 Independence Parkway, Plano, TX 75075 during normal business hours. 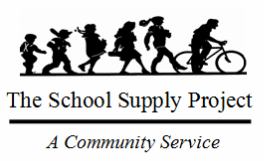 To make other arrangements, email: operations@theschoolsupplyproject.org. ​This is a great activity to do with your children of all ages! While donations of supplies are welcome, we always need cash. 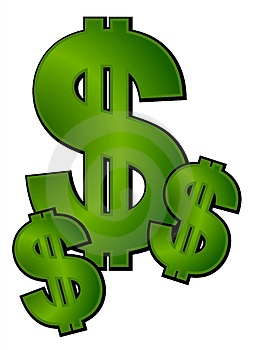 To give us the flexibility to support our operations our goal is to raise over $12,000 in cash per year. This helps us buy a particular supply when inventory is low and help us take advantage of end of season clearance sales, further reducing our costs! Over 95% of all cash donations are used to purchase supplies.